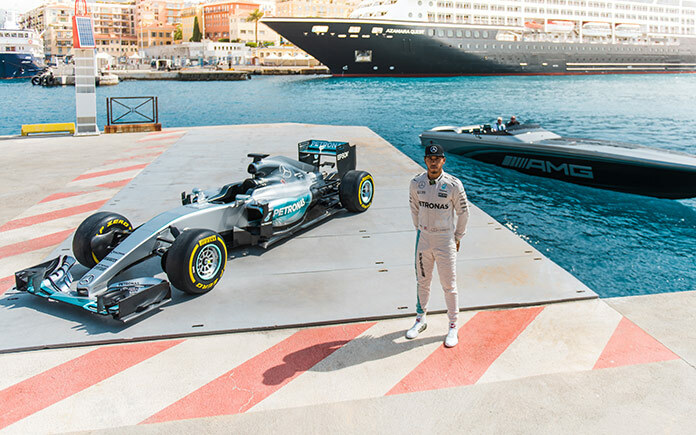 With the motto “Speed & Style” the two demonstrated that the worlds of modern luxury and racing performance blend perfectly under the Mercedes-Star – both on water and on land: Hamilton showed the world of performance with the „Cigarette Racing 50 Marauder AMG Monaco Concept”, inspired by the current MERCEDES AMG PETRONAS Formula 1 car, which he also brought to the event. 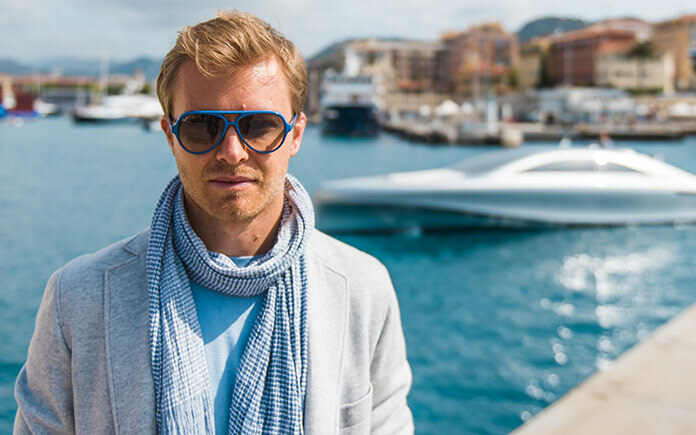 Meanwhile, Rosberg demonstrated the world of modern luxury with the S-Class Cabriolet and the Mercedes-Benz Style luxury motor yacht “ARROW460 – Granturismo”. 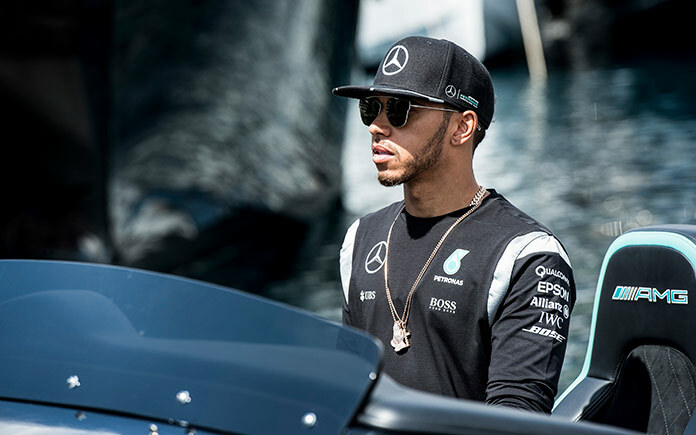 Ever since the brand exists, motorsport has been part of the DNA of Mercedes-Benz and is one of the core activities creating performance and power. This is framed by modern luxury that embodies the brands design philosophy of sensual purity by the highest measure of emotionality and technical perfection. This perfectly illustrates the standards of the founding fathers Gottlieb Daimler and Carl Benz, always to strive for the best and thus to delight both heart and mind in equal measure. This results in products with a timeless attractiveness that fascinate people around the globe. The Mercedes-Benz designers were responsible for the exterior design featuring black and silver tones contrasted by sporty turquoise green highlights as well as for the interior design which is inspired by the classic Cigarette Racing cockpit. Furthermore, the user interface offers state-of-the-art technologies: computer-based control, four high-resolution displays, Garmin navigation, and a Pure audio system. The price of this unique boat is approx. 1.6 million US dollars (when purchased FOB Monaco). 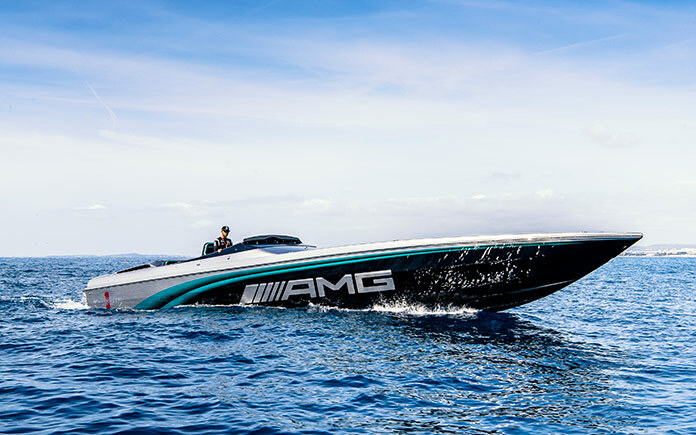 Designed by Mercedes-Benz Style and developed together with Silver Arrow Marine, the luxury “Arrow460–Granturismo” motor yacht celebrated its world premiere in April 2016. With this model, Mercedes-Benz is developing a completely new boat concept. 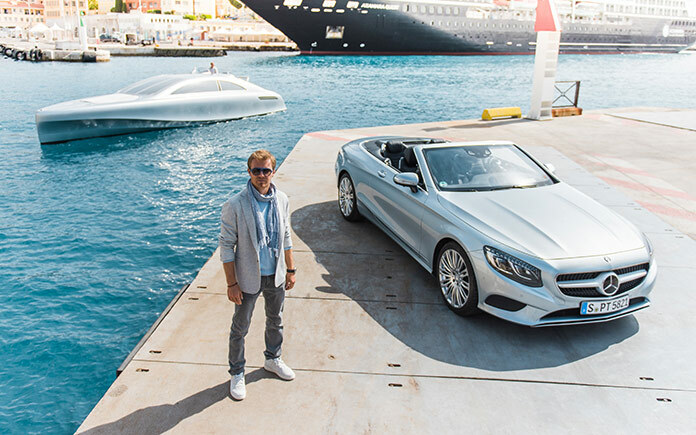 The 14-metre-long 706 kW (960 hp) “Silver Arrow of the Seas” combines the performance of the famous Mercedes-Benz sports cars with unique innovations from the boat industry. 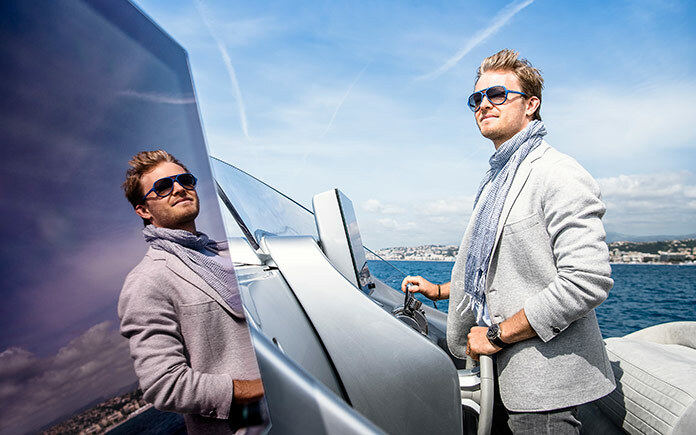 The yacht has classic automobile proportions that bring the hallmark Mercedes design idiom of sensual purity onto the water in a highly emotional and dynamic form. The yacht also combines the advantages of an open boat with those of a hull cabin cruiser in unique fashion. Its crossover design offers the ultimate in variability, resulting in a boat that is equally suitable for day trips and overnight stays on board. The yacht offers room for up to ten people and is available in the fully equipped Edition 1at a price of 2.5 million euros. With the world premiere of the “ARROW460 – Granturismo” the Mercedes-Benz Style designers have made Gottlieb Daimler’s dream come true. 130 years after the invention of the automobile, individual mobility is now possible on land, on water and in the air. In 2011 the “Airbus Helicopters H145 Mercedes-Benz Style” lifted off as the first mobility product beyond the automobile.